It’s a fact of life: we always want what we don’t have, and for those of us with curly hair, this rule is no exception! What Hair Straightening Options Are Available? As the name suggests, The Brazilian Blowout, originated in Brazil and is a permanent straightening process that utilizes a protein rich solution to coat hair strands to straighten your hair out. The Brazilian Blowout works on every type and texture of hair and can even be used to prolong the vibrancy of color treated hair. The result of the Brazilian Blowout treatment is hair that is hydrated, less frizzy, shiny and more resilient to heat styling. How straight will The Brazilian Blowout leave your tresses? As straight as you like! 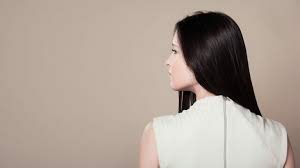 Just be sure to tell your stylist so they can customize the treatment to either make your hair smoother by passing the flat iron through it to preserve the texture of your hair. It’s important to note that the overall goal of The Brazilian Blowout is to make your hair easier to manage. If, for instance, you have naturally curly hair, The Brazilian Blowout will NOT make your hair pin straight if you let it air dry. However, it WILL cut the time you typically take to blow dry your hair straight in half! How long does The Brazilian Blowout Process Take? The amount of time will depend on the amount of hair you have and its thickness. Overall, the process can take anywhere from an hour to two hours and will start by your stylist washing your hair 3-4 times to remove any styling build-up. Afterwards, your stylist will apply the Brazilian Blowout solution to your hair in sections from root to tip and blow dry your hair smooth. 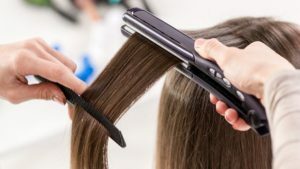 Once that is done, your stylist will pass a 450-degree flat iron through your hair to seal the cuticle and then your hair will be washed, deep conditioned and blow dried smooth again. Unlike other Keratin Treatments that require that you not get your hair wet or tie it back for 48-72 hours, The Brazilian Blowout can be washed and styled immediately after your treatment, allowing you to get back to business as usual faster! Provided that you keep your hair away from sulfates and chlorine (commonly found in shampoos), your Brazilian Blowout should last anywhere from 3-4 months. When it begins to wear off, your hair will begin to return to its natural texture. However, unlike other straightening or relaxing methods, you won’t see a clear line of demarcation between new and treated growth. Who Isn’t A Good Candidate for The Brazilian Blowout? Brazilian Blowout can be used on just about any and all hair types except for thin or fine hair because the chemicals may cause more damage to the hair. If you have thin or fine hair and are interested in the Brazilian Blowout, it’s best to consult a professional stylist. Ready to tame that mane with The Brazilian Blowout treatment? Contact us today to schedule an appointment with the best hair salon in NYC! Hair Straightening: Why Turn to a Professional? Hair straightening isn’t what it used to be. If you are like many women you remember spending hours a day straightening your hair with a small, handheld contraption. Most of the time, when the process was done, it didn’t quite look the way you wanted it to. Nevertheless, you would spend more time the next week doing the same thing. Today you can have impressively straight hair. 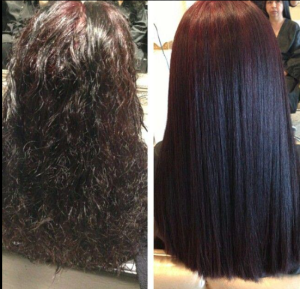 The best way to get these types of results is with the help of a professional hair stylist. Hair straightening processes have changed widely. However, the overall goal is the same. Often times the process involves applying heat to the hair to create a change in its makeup, creating a flat rather than curly look. However, when done properly, you can have the flat hair you desire without the damage that often comes with the process. 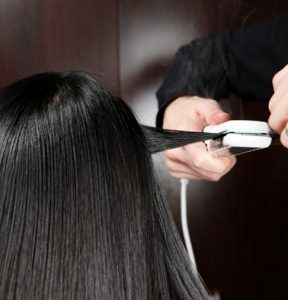 The use of hair straightening through applied heat is still the most common method. These still use devices but they are more efficient and overall more successful in creating the look you want especially in the hands of a professional. Chemical straightening is another option. This method is best for those who may have significant curls or even damaged hair. It is best done by a professional. You’ll also want your hair stylist to work closely with you to ensure your hair remains in good condition even as you straighten it. To do this it may need conditioning treatments or overall limited chemical interactions. 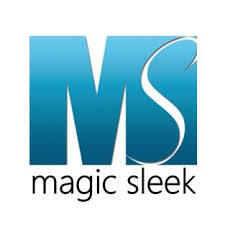 Do not overlook the value of working with a hair stylist who has ample experience in straightening. If done properly, the results can be long lasting. You can wash and dry your hair and get the same straight hair you desire. 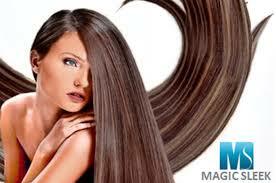 The key is to have it done properly to avoid any damage to the hair’s actual structure. If you have not done so yet, schedule a consultation with your hair stylist. Discuss what you would like to see in your hair. And, then talk about the various options to help you to get to that point. With an appointment with our trusted professionals, you can get those results. Contact us today at 646-205-3054 for an appointment with a trusted hair stylist in New York City. Get the hair you want now.